Short Sale: The sellers and the price have already been approved for the short sale. Situated next to the Highlands Reserve Golf Club and just minutes from the excitement Orlando has to offer. 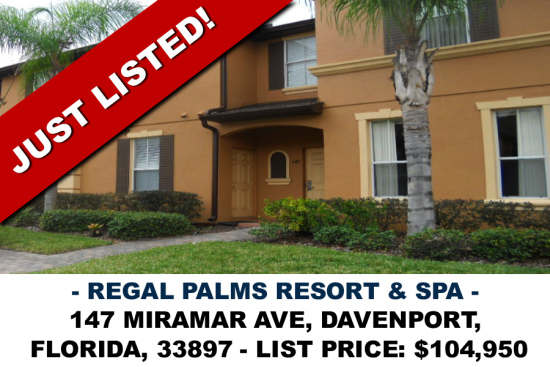 Regal Palms Resort Orlando offers a centralized 24 hr. guest reception, resort restaurant and bar, business center, sundry shop, games room, market place, spa and swimming pool area. The unit has a bedroom and bathroom down stairs with its own entrance way so it can be used as a lock out.